Traditional Chiefs in Central Ghana are starting to see girls as persona non grata. This is reflective in a new directive they released. According to BBC, they (traditional chiefs) have banned girls who are menstruating from crossing River Ofin in Ghana. The chiefs claim to be enforcing a directive from the river god. 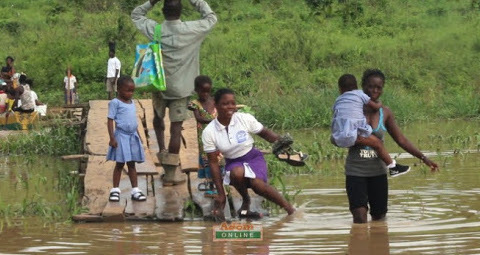 River Ofin in Central Ghana which serves as a boundary between the Ashanti and Central Region is also used by children who have to cross it to school in Kyekyewere, East District. So what this means is that, young girls will have to stay home during their period so as not to offend the river god.